When do you know you've traveled the 'Circle of Life'? Certainly with the passing of elder members of a family or with the birth of new members of a family, but today I experienced another circle - a full circle of life. Having had two daughters, (two daughters who were not athletic or interested in sports) instead of shuttling kids to practices and spending hours on soccer fields or basketball courts I shuttled our girls to dance class. Katie started her dance career when she was 6 1/2 and Laura began at the ripe old age of 2 1/2. 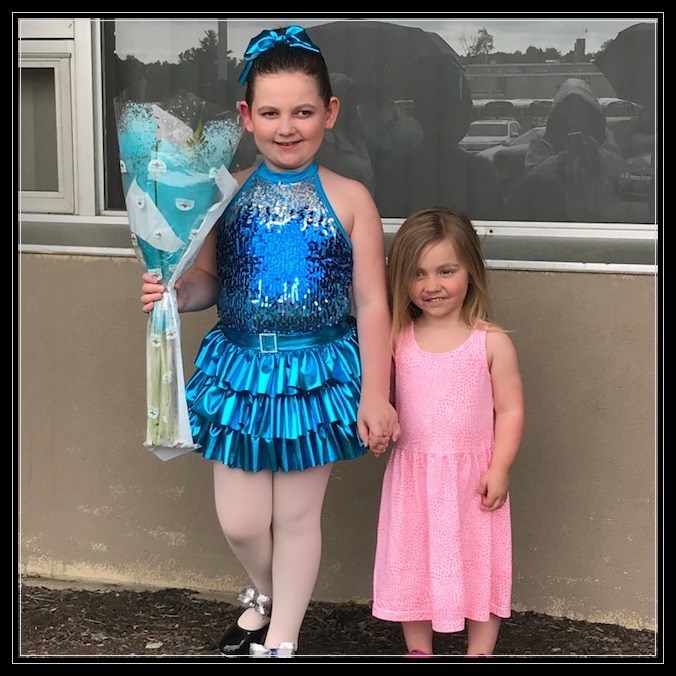 For the next 14 years, there'd be a lot of dancing in our lives most of which culminated in a recital at the end of the school year, but not all. Laura was born dancing and she danced all the time....at home mimicking music videos on TV, previous dance recital dances on VHS, or simply choreographing her own dances to any music available. Both girls began taking ballet and tap, each for a few years, and then both transitioned to jazz. As a stay-at-home mom, money wasn't plentiful, but we made sure there was always enough to fund dance class, leotards, tap shoes, ballet shoes and eventually jazz shoes. Sometimes we got lucky and Laura would be able to wear Katie's hand-me-downs. A few times a year parents would be able to watch class and we'd get to see our little dancers leap and float across the dance floor. Sometimes they'd bobble or stumble, but it didn't matter. Their teacher always emphasized that it wasn't about perfection....it was about building confidence, self esteem, poise and grace. Just like with any activity or sport, some kids have a natural gift and others have to work at it. That's how it was in our house. Laura had the music in her and although she certainly worked hard to memorize her steps, her body felt the rhythm and moved in response and it was easy to see she was meant to dance. Katie loved to dance but it didn't come quite as naturally for her. She worked diligently perfecting her form, her posture, her grace and was every bit the beautiful dancer as her sister. From 1986-2000 the end of May heralded the end of that year of dance with a dance recital. Sparkly costumes were ordered months before.... and by the evening of dress rehearsal, emotions were high in anticipation of the big event. I don't know about all the moms of dancers, but this mom never outgrew the stage mom nerves. Besides the normal worries about whether or not they'd remember their steps, or lose a hair accessory during their dance, I had the added worries of a mom of a diabetic child. Did she remember to blood test and snack before her dance? Is she low? Is she high from nerves? Oh it was an emotional time for this mama! But it was always fine and as I looked through the video lens from the back row of the auditorium, it was always such a proud feeling watching our girls perform year after year. Katie danced right through her senior year of high school. Laura gave it up at the end of her sophomore year. The girls weren't the only ones who had the dance bug. John participated too. He danced with other dads in the Dad Dance - a sort of comic relief dance right after intermission. Unlike some of the other dads who participated for fun, John took his role pretty seriously. He practiced his routine, over and over. Consequently he became 'the guy to follow' most years. This is where I should add that John is like Katie - not a natural dancer and those who know him won't be surprised to hear he did not spend his young adult life dancing in clubs. That didn't stop him, nor did it dampen his enthusiasm. He was a dancing machine. Over the course of his recitals he danced to Uptown Girl, YMCA, Chain Gang, I Heard It Through the Grapevine, Surfin' USA, Alley Oop, Dance With Me, and Soul Man. And yes....we have them all on video tape. 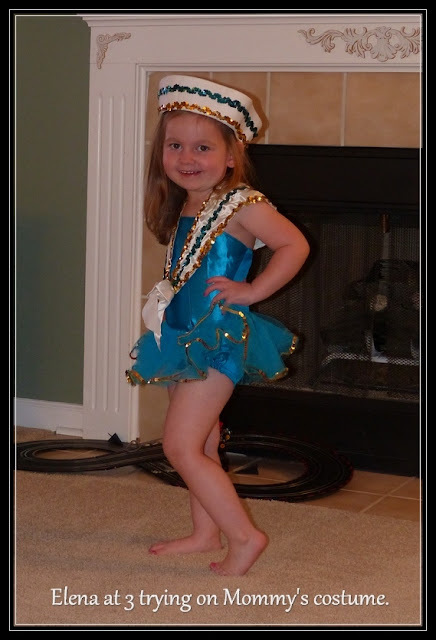 So, you see dancing and dance recitals have been a big part of Life here in the Welter household. That tradition came full circle today. Today we attended a dance recital, not just any recital but a dance recital of the same dance studio our girls attended, in the same auditorium our girls performed in. 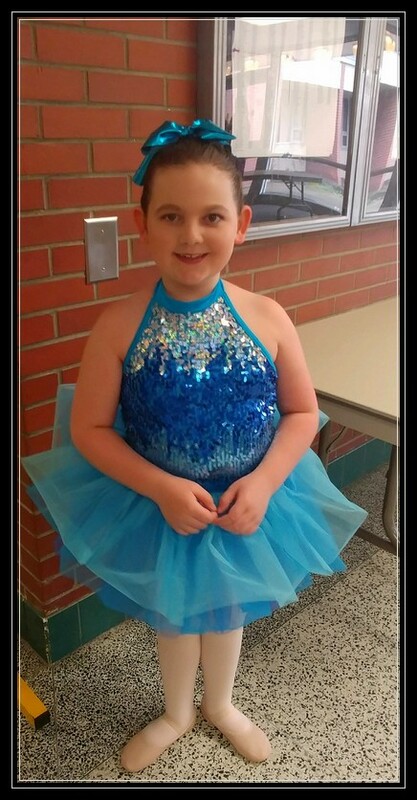 Only today the tiny dancer we were watching was our 7 yr. old granddaughter, Elena. This is her third year dancing, but our first recital because her first two years were in Indiana. Elena took tap and ballet, just like her mom and her little sister follows in the family footsteps, also taking tap and ballet. Like our girls, one sister is a natural and one is a practiced star. Not much has changed over the years. Tension was high in the auditorium 45 minutes before the curtain rose, parents and extended family rushing to find the best seats, many armed with bouquets of flowers for their little ballerinas. Unlike the old days, today I was merely a spectator - no camera or video camera with me. I was determined to relax and just enjoy the show. The theme for this year's recital was Circle of Life so the first several numbers were all from the Lion King and were all so well done. Then came the younger dancers....Elena's first number was 7th in the series of 22 numbers. She was also dancing in the 20th number. I'd seen her demonstrate her routine in my living room, to the designated music, and was proud of how good she was. She reminded me of Katie at her age - the look of determination on her face, her practiced posture, outstretched arms and pointed fingers. Although I'd seen the practice version, nothing could have prepared me for today's performance. Oh darling, don't you ever grow up, don't you ever grow up. Thank you Creative Dance Arts for 33 years of dancing memories!